Walter founded Lutuk Primary School when he was just 19, in 2009. Before the school was built, when community members returned from the IDP (Internally Displaced People) camps inhabited during the war, children faced a long walk to the nearest government school. 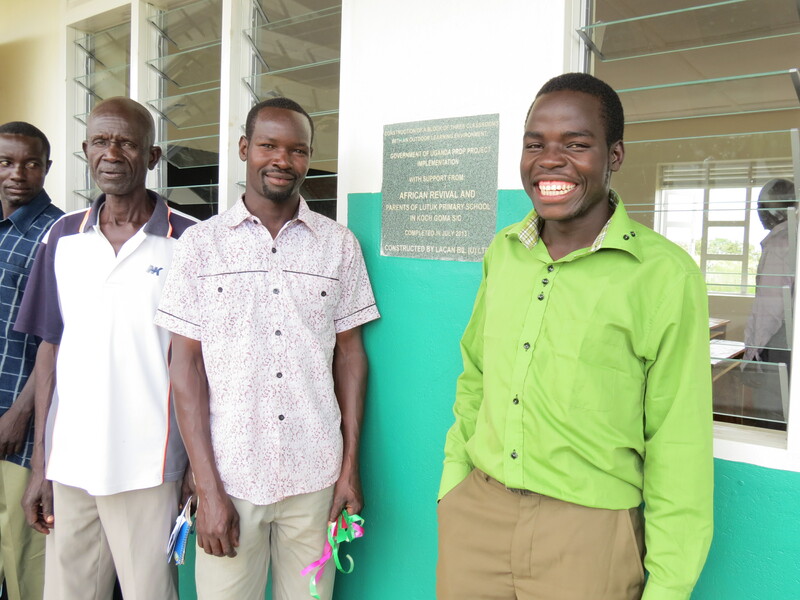 The community worked together to construct the original buildings and since then, African Revival has worked with the community to build a 3 x 1 classroom. The other challenge faced by Lutuk was the lack of training for teachers. Now 3 teachers at the school, including the Head Walter, are receiving training at a nearby teaching college, supported by African Revival. Under Walter’s leadership, the school is flourishing. In 2009 the school started with 64 pupils and now has 267 pupils. In the last round of Primary Leaver’s Examinations, which are sat in the final year of primary school, one of the female students at Lutuk had the 5th highest exam score in the distict. Walter hopes that in the future the government will begin to fund Lutuk and send government trained and salaried teachers, now that the school facilities have greatly improved. Lutuk is a great example of the inspiring work of the communities and individuals African Revival is proud to work with, and we look forward to continuing to work with the school and seeing it go from strength to strength.